How many blogging tips and tricks you read on internet. Are they helpful. Today I will give you the most beneficial blogging tips for all the beginners to enhance their blog and business. 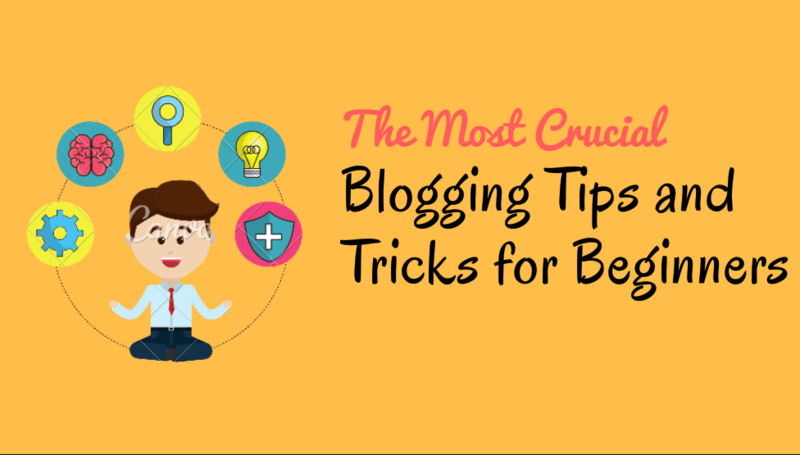 There is nothing like tips and tricks in blogging. I would like to call them blogging strategies. There are few strategies which can really influence your blogging. These tips will help you to increase your audience and gain some organic traffic from Google so that you can get a kickstart to your new blog. In fact, even if you have been running a blog for years but couldn’t get any success. It will definitely help you to move a step ahead. Blogging is not really easy. It looks like really cool when we see other bloggers making millions of dollars only by their blog. But we don’t know how much efforts have been done to grow their blog. 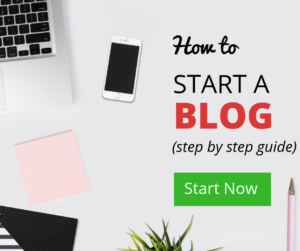 Here are some simple and easy to follow blogging tips for every blogger who just started a new blog or running a blog since years. Also Read: Find super cool domain names for your upcoming blog using these tools. First tip for newbie bloggers is understand your niche. millions of websites on each and every popular niche have been already running on internet. It is absolutely possible that whatever topic you choose for your blog, there are giant websites who are giving thousands of valuable content for that topic since years. Then the question is here, how would you survive in that crowd. How could you explain to google that your site has valuable content too and it should be rank on first page for their keywords. I personally like to call it sub-niche. You need to find a very close sub-topic of your main niche. For instance, if your blog is about fashion. Then you can still write about some specific brand or product. You can also write some valuable review for any product. This will give you many broad ideas for writing. 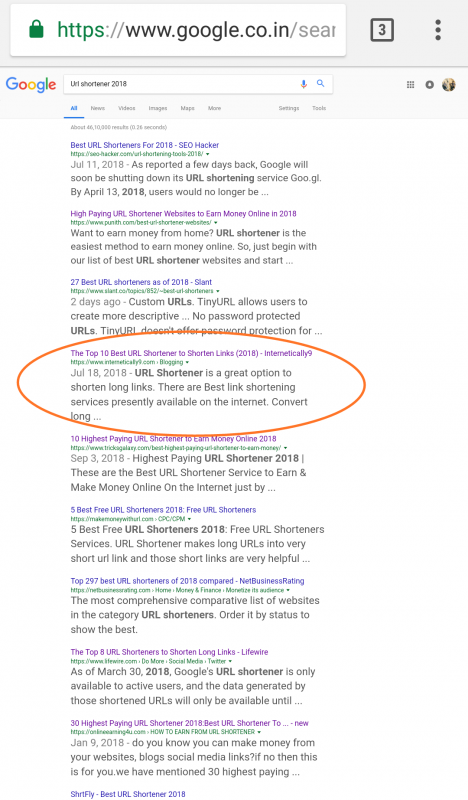 It will help you to find long-tail keywords to rank on. Ranking your blog post is a typical task. Remember that Google never rank your website. It ranks your individual blog posts. If you write 10 posts of 300+ words on different subject. It’s like impossible to rank from any of those blog posts. But if you write a long blog post of 3000+ words on a single topic. Your chances to rank are too high. Also Read: How to Write an Incredible Article to Rank on First Page. Second strategy for beginners is write for Google. Typically every blogger would suggest to write for your audience and not only for Google. But if you don’t have any audience or subscribers or regular readers. Then what would you do? You will have to write for Google in that case. Specially beginners need to understand that Google is the most reliable source of traffic. So you need to rank your articles on Google first. It’s crucial to understand that you need to find long tail keywords to rank easily. You should find basic keywords using any of keyword tool in the market. I would prefer Ubersuggest for every beginner. It is a free keyword suggestion tool and it will help you to rank your posts. Type any keyword there and you will get many related keywords and their monthly search volume on Google. Another trick to engage tour blog business is SEO. SEO is a crucial part of every blog. Every new blogger should learn some basics of SEO. It ia not really important to take some advance SEO course. You just need to understand all the terms in SEO. And you can get many detailed information on Google. Basically, there two type of SEO, On-page SEO and Off-page SEO. On-page SEO refers to edit your page to make it SEO friendly. When you are writing a page or blog post on your blog. You need to put your blog title, and meta description according to your keyword. You should understand that you will have to use synonyms of your keyword everywhere on your blog. But don’t over use your keyword. Google can easily identify it. Off-Page SEO is something where you work on after writing your blog post. How many backlinks your create for your article. Share your content on social media. You can find a descriptive article for off-page SEO on Google. One more tip for beginners is write frequently. Writing blog posts regularly is significant for every beginner. Maybe you won’t get any traffic until you write a bunch of blog posts. Still you need to write on a regular basis. I have seen big change in traffic when I started writing a posts once a week. Remember always that you should not write everyday blindly. Instead give your time for a good keyword researh. Find long-tail keywords and identify the competition. For instance, if you found a long tail keyword and it has around 3000 search volume. You should now enter this keyword on Google and look the results on first page. You have to visit those sites. If you are getting very famous blogs on first page. Then forget to rank for that keyword. If you are getting some unknown websites on first page results. Visit those sites and find their sitemap. Look how many blog posts they have written. If they have less than 50 articles and their post is ranking on first page for that keyword. Definitely, you can also rank your post for this keyword. One more tips is here. If you couldn’t write a post on time. Still you should change its publishing date at the time of post. For example, if you had to post a blog on 15th but you couldn’t and you are publishing your post on 18th. You should change your publishing date to 15th and update it. Writing becomes really boring sometimes. I usually write for an hour and take a break. It’s good for our brain and our body too. Computer screens may damage your eyes too. You can write a complete post by continuously writing for few hours. However, it is not a good idea. Doctors advise that you should take a break in every 30 minutes if your are working on computers screen. After thirty minutes, go for a walk and look around you for atleast 5 minutes. Try to observe some object which is some feet away from you. It is specially necessary for your eyes. Every screen have harmful rays around it. There are radioactive rays around these devices. It may be harmful for your body. Personally, I write continuously for an hour then I again write after 5 minutes break. Here is another tip for new bloggers who are beginning their blogging journey. As you know, first impression is last impression. If anyone land on your website. You have to make them feel like wow. It’s a cool website. It should be the reaction for your readers. If you are a web developer. So you can easily design your website. But If you are not familiar with coding. You can easily buy a premium theme to change your blog design. There are many websites sell premade layouts for websites. You can also hire some designer and they will change your site’s look as you want although it may cost you a little bit more. The best option is to buy a premade layout. It is an important strategy to increase your blog business. Nonetheless it is not really important for beginners. It is totally significant point for those who are getting enough traffic on their blog. Building an email list is crucial to increase your business. Approach more people to subscribe on your blog. It’s an average that if you have gain around 2000 subscribers, you can create a product to sell. The question is how would you build your email list. It’s not super easy. Why people will subscribe on your blog. To get a notify when a new post comes. It’s an old method and doesn’t work nowadays. Instead of this, you can create some free product to send them as a giveaway gift as they subscribe. You can create any online product which is helpful for your readers. Try to give some costly products to them for free. It is a common myth people think that they started a blog. Now they should start monetizing it to make money. It is not a good idea though. If you are thinking to go with AdSense. Definitely, you should remind do’s and don’ts to get AdSense approval. I mean instead of monetizing your blog very quickly. Try to gain some real traffic from Google. Focus on to rank your posts on search results. If you have a good audience related to your niche on social media. You can also get a good traffic from there. It’s a good idea to monetize your blog after started getting atleast 500 pageviews everyday. I don’t want to discourage you but it’s really important to focus on your visitors and content rather than earning money specially in your starting days. Try to publish atleast 100 posts at first. All should be on your targeted keywords. Try to rank them all somewhere around under 20 position on Google search results. And then anaylyze your traffic first. It’s a big mistake of beginners that they don’t think to get a good traffic but want to get money out of it. Try to understand that blogging is not a magic stick. It needs consistency. It is a most important tip for all the bloggers beginning their journey. You all should try to learn everyday. Don’t think that you have learnt enough by reading few articles for some months. After blogging since 4 years. I still can’t say that I know everything. Learning is a never ending process. If you have a craze in blogging, you could definitely give some time to read new strategies and ideas to grow your blog. Learn SEO, learn marketing, learn where to invest your money? I would give you a simple example. Writing is not something what we think of. After writing 50 60 posts. Go and read your first post and read your present post. You will see the change in style of writing. In short, try to learn how others are writing their articles. Their writing style, their language skills, their way to express ideas. Try to learn how you can rank your new blog posts. How you should index your posts fast? There are many things to learn in blogging. Overall, Whenever you got time, you should read and learn. Most significantly, always read every single topic by different bloggers. You will get different ways to do one thing. Now mix them all and find a best way for you. Blogging is a system. You need to create a system to turn your blog into a money making business. You need to take time for your blog daily. It is crucially important to provide atleast 2 hour to your blog. Writing is not the only part of blogging. You need analyze your competitor’s backlink profile. Make an email outreach campeign. Send 100 mails at a time to ask for links or guest posts. On an average, you will get 15% converion rate on these emails. This way you can create 15 powerful links a month which are crucially significant for your blog. Wow… I think these blogging tips and tricks will give some useful strategies to all the new bloggers. However, beginners always should try to learn new things. Nobody knows what could work for them. The most useful tip is writing. You need to learn writing a beautiful articles. You need to engage people to your blog using your unique ideas. And never give up. In the beginning, many new bloggers can’t get enough traffic or business and they leave blogging. Remember that blogging is not a one night job. It takes time to increase your audience and then your business. So keep calm and keep writing. If you feel this guide is helpful for you. Subscribe our blog for every new post updated. And also share your own strategies for blogging. What us working best for you? Why Google Adsense is the best Advertisement Platform.